Camper & Nicholsons First Eastern Ltd. 4/F., Henley Building 5 Queen's Road Central, Hong Kong. In 2011, Camper & Nicholsons Marinas formed a joint venture with First Eastern Investment Group of Hong Kong, specifically to address Asia’s growing demand for world-class marinas. In 3 years of operations, we have now worked closely with clients on over 20 different marina developments in both Mainland China and the wider Asia Pacific region. With a head office in Hong Kong, and a PRC office in Shenzhen, the joint venture is called Camper & Nicholsons First Eastern Limited. 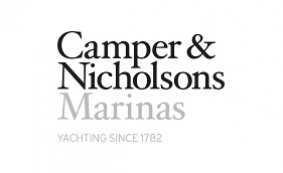 Camper & Nicholsons is suitably equipped and adept in providing turnkey solutions to all your marina requirements. Copyright © 2019 Asia Pacific Superyacht Association.